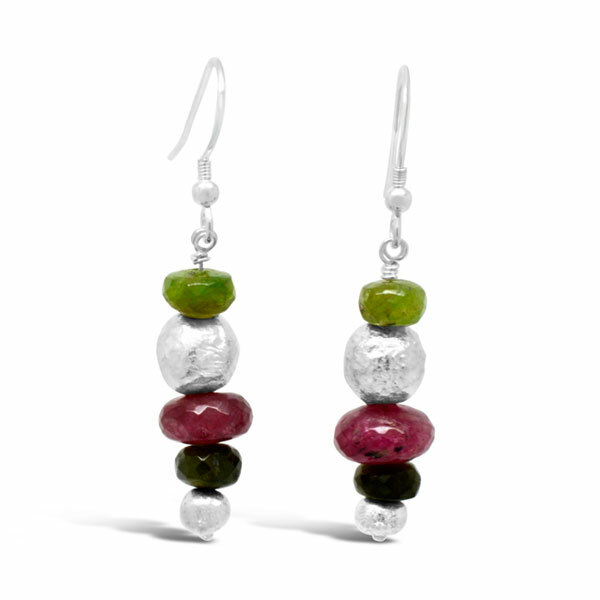 Tourmaline and silver earrings. Faceted roundel beads and our unusual handmade silver nuggets. 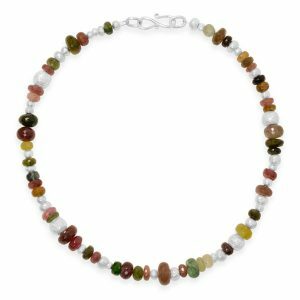 Matches the tourmaline “random” necklace.